Basecamp was co-founded as 37Signals in 1999 by Jason Fried, Carlos Segura and Ernest Kim with the original plan being Web Design. From 2004, the focus shifted to Web Application with the name as we know it now, Basecamp. The Software Basecamp is a project management tool used especially by web agencies to manage with clients projects while also collaborating with them. The focus was shifted to web application after the founders understood that there was a huge problem for web agencies yet so much demand for a tool like this. Basecamp is popular and people’s choice because it’s simple to use. There are no complications in the design, just what the customers would need. The other benefit that comes with the product is that the design is clean as basecamp describes the product “designed by designers for designers”. The other obvious reason is that Basecamp generated huge PR from successful clients with it being the first product of few, to truly give the clients what they craved and needed for a very long time. Right Place, Right Time. Basecamp 3 was released in 2014 and was integrated with Campfire another 37 Signal application. Basecamp 3 was deemed by many clients as the complete package more than basecamp 2, that may be due to a lack of chat function in the latter application. In this article, we will be explaining in detail every new feature in Basecamp 3 and how it overlaps Basecamp 2’s features. Unlimited Projects: On Basecamp 2 a buyer had a 10 project plan or 40 project plan and then if more projects are needed, an upgrade must be bought. With Basecamp 3, there is no cap on how much projects the company wants to register for. As Basecamp describes it, it’s all-inclusive. You pay $99 per month and you have unlimited projects. Hey! : On Basecamp 2 users would receive an email and a notification would be posted in the project when something happens in a project, which would make it difficult to notice if something relevant changes. Basecamp 3 will give users everything that is happening under one menu, the Hey!. Any mentions, new messages, to-do assignments, and completion. Campfires: On Basecamp 2 there is no option to do a group chat. Campfires will give project members the feature to gather around and chat about the project rather than post in the project. Pings: Pings are a way to instant message a project member before you share it with anyone. It’s important to understand that pings are not the same as campfires. Campfires are group chat, while pings are one on one chats. To-Dos: On Basecamp 2 one can set a deadline for a task or assignment and only for one person, however, on Basecamp 3 now you can set a date range for a project and for multiple people. Automatic Check-Ins: On Basecamp 3 a project manager can set an automated question for the members at a particular date and time to check-in on a progress. Client Access: With Basecamp 3 you can choose to opt out from showing the client everything that is happening. Schedules: Basecamp 3 will implement a calendar, which you can sync with your outlook or google calendar, to have every project and assignment deadline organized and tidy on the deadline day. Forwards: On Basecamp 2 one could reply to an email that received, now, with Basecamp 3 one can forward the E-mail to the team before replying the sender. Search: The search will be given a huge update for Basecamp 3 from Basecamp 2. With Basecamp 3 you can find any message, comment or file sent from one user, or which user sent what. Work Schedule: With Basecamp 3, users can set the working times so that doesn’t receive any notifications during weekends or off days. Applause: Basecamp 3 will have an added button named Applause, which a project member can hit if someone achieved a milestone or have a good idea. Reports: On Basecamp 3 Reports will be generated so that a project manager can have an updated report of the assignments done, yet to be done or missing deadlines. Cascading Notifications: On Basecamp 3 there will not be multiple notifications or worse, no notifications. Basecamp 3 intelligently will realize if a user is in desktop or mobile application and will be sending notifications accordingly. Share: On Basecamp 2, anyone couldn’t share anything with an outsider. However, on Basecamp 3 you can get a public link so you can share with anyone outside Basecamp. Toolbox: Basecamp 3 will give you control of what you want to see in the toolbox. @mentions: On Basecamp 3, users can grab a member attention by @ his or her name. They will receive a notification once mentioned. Bookmarks: With Basecamp 3 you can bookmark to do’s or whole projects to find them straight away when you log in. Timelines: The timeline will give project members and especially managers a review of what anyone in the projected commented, finished or discussed. Folders: On Basecamp 2 you could create folders, however, on Basecamp 3 you can also create subfolders and also connected with any cloud system to import or export. Trix: Basecamp 3 also arrives with a text editor in the platform. In this editor, you can also move images in it. App: You can download Basecamp 3 app for iOS or Android. Color-coding: Basecamp 3 will give the user an option to color code a project, assignment or folder. Drafts: The user will have an opportunity to save a message or recheck before sending something on a project. The feature that may raise some discussion, however, is what if a company, especially SMEs don’t afford the unlimited plan and just have a few projects? A 99$ per month plan might not be a long-term thing for companies with limited budgets. The sure thing is that Basecamp 3 comes with a huge improvement from Basecamp 2. The main features being that one can instant message and create group chats rather than comment and discuss on the project which makes the discussion lengthy and difficult to find the relevant messages on Basecamp 2. These features will also help with the organization of projects as reports will help assign tasks and appraise assignments rightly. 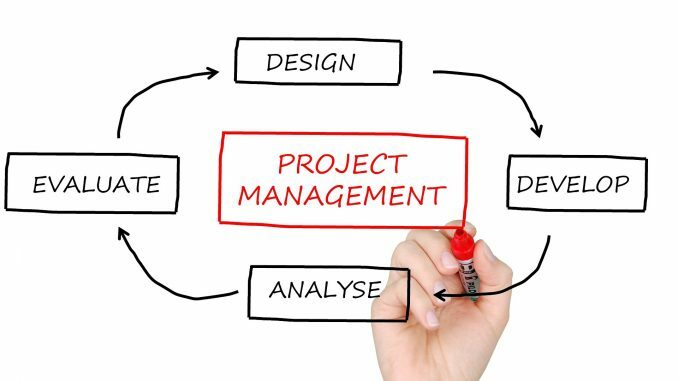 At the end of the day, these features will make project management fun, organized and easy.